Pillow top mattresses are a great improvement on traditional mattresses because they offer an extra component in assembly that allows the manufacturer to tune the sleeping experience to suit a lot more types of people. But what’s the best pillow top mattress for you? We’ve spent a great deal of time putting together a buying guide that’s going to help you answer that question for yourself. We’ve looked at a ton of pillow top mattresses and we’ve examined existing reviews, and also looked at the sort of feedback and comments that real users and buyers out there in the world have decided to make about individual products – based on their own user experiences with their own new pillow top mattresses. We hope that a quick read through this guide will save you a lot of time, because we’ve collated a lot of information here in one place. Stick with us, and we’ll make sure that you get the best pillow top mattress for the price you’re looking to pay. 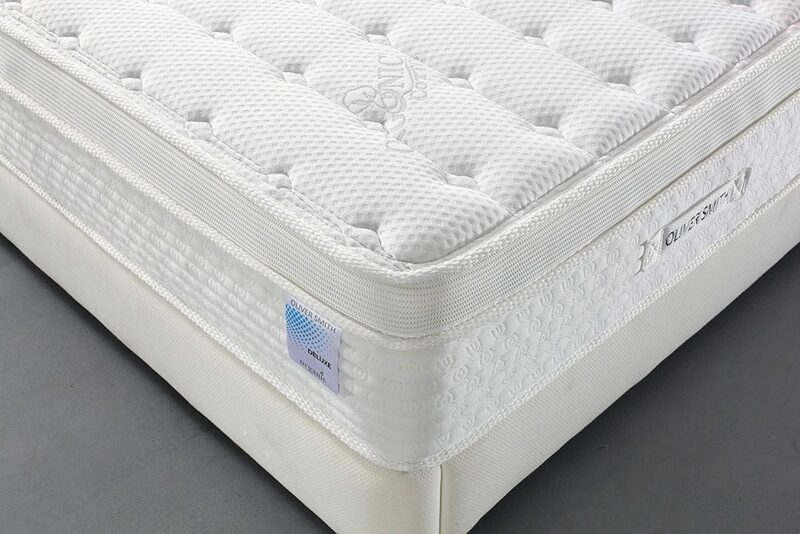 We’re also going to be looking at a lot of the different technical aspects and features you can see in these mattresses, and we’ve spent a lot of time putting something together that will save you a lot of research, and will demystify what these products are all about, in simple and easy-to-understand terms. 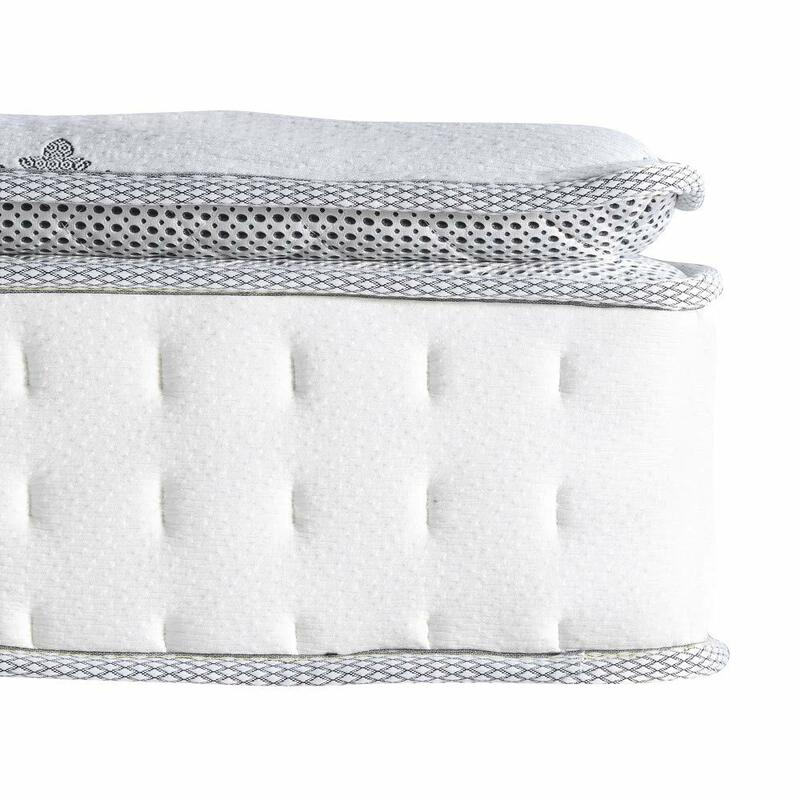 In our product reviews and buying guide, we’ll look at a lot of what goes into making the best mattress pillow top for different kinds of sleepers and people, and we’ll examine which sorts of mattress aid sleepers who might have chronic pain issues. We’ll even look at which mattresses tend to suit people that sleep on their side, on their back, or even on their stomach, because we know you’re all unique! So, let’s go look at some mattresses! 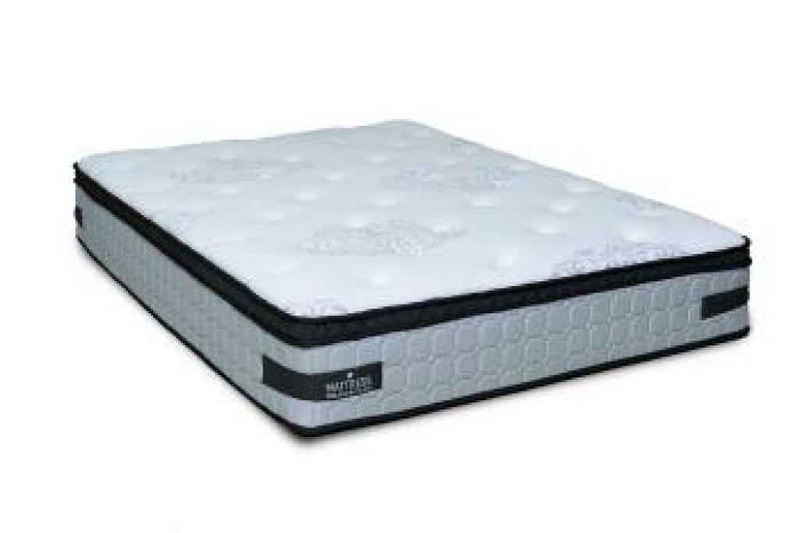 At the very top of our list here, and easily by far the best Serta pillow top mattress of all the examples we looked at is the Serta Perfect Sleeper Elite Plush Super Pillow Top 700 Innerspring Mattress. This is a great mattress with all of the features and options that you need in order to get the best night of sleep that you can. 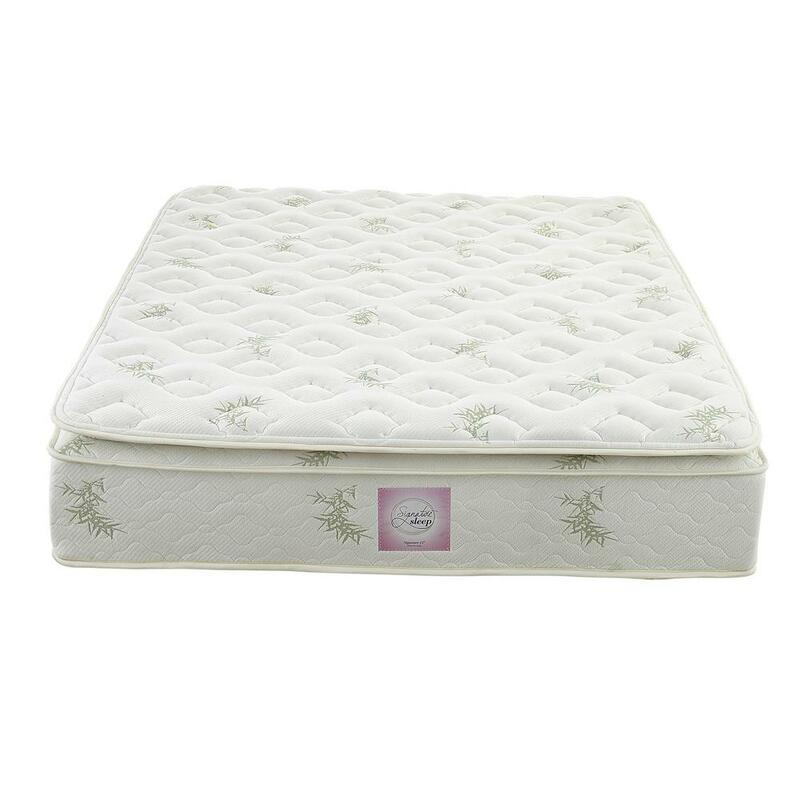 As the name suggests, this is an innerspring mattress, and each of those springs is individually wrapped to provide excellent protection against disturbances caused by partner movement. The pillow top is formed from cool action gel memory foam and that’s going to keep you cool and sleeping soundly whatever the weather. Serta have really pulled all of the tools out of the box with this pillow top. You get edge support, excellent fire retardance and everything is just conceived here to assist with cool, comfortable sleep. Nothing has been left out and the impressive ten-year warranty speaks volumes for the level of quality that’s gone into making this mattress our top pick within this guide. This is a great mattress to consider if you suffer from chronic back pain or anything similar because a lot of thought has gone into making this a mattress that’s not only engineered to promote good sleep, but also manufactured to reduce the symptoms of back pain that can be caused in the eight or so hours that you’re asleep. Not only are we looking at our best Sealy pillow top mattress with our second placed entry here, we’re also looking at a mattress that pushed our winner right until the death – there wasn’t a lot of daylight at all between the Serta mattress in first place on this guide and the excellent Sealy Response Performance 14-Inch Cushion Firm Euro Pillow Top Mattress. 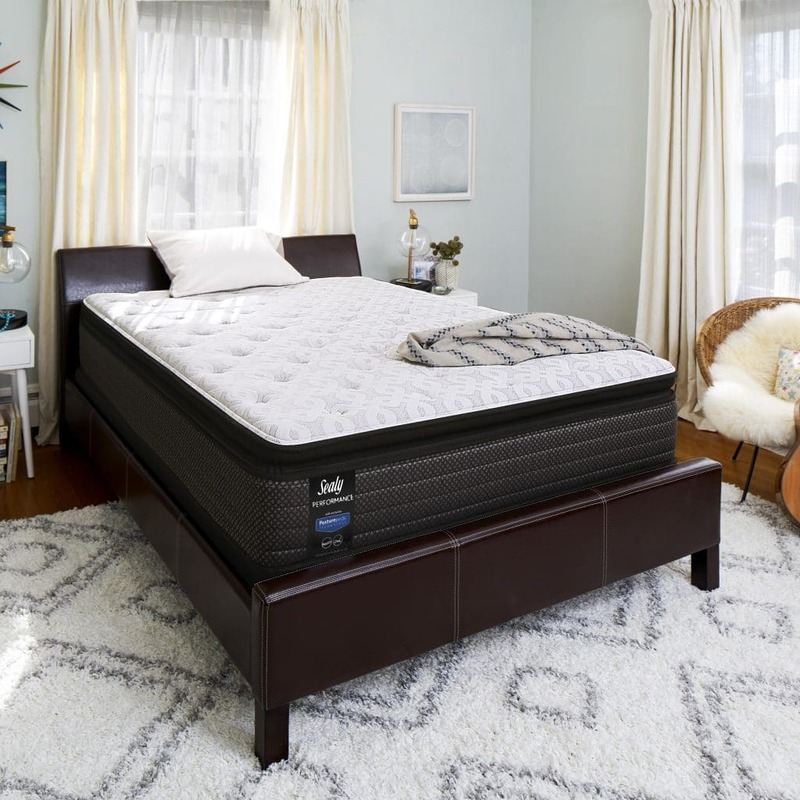 It’s a really well engineered and conceived mattress, even by Sealy’s high standards, and it’ll have you sleeping like a baby all night long. 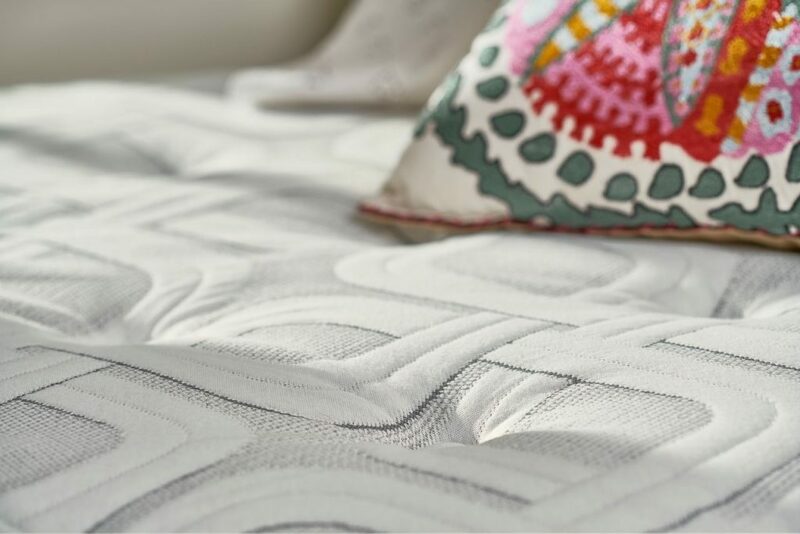 You get a whopping 14-inches of thickness with this mattress which features Sealy’s very own Response Coil System. Sealy are well known for their exclusive Posturepedic approach to mattress making and that shows in this example. They’ve done everything you’d expect to make this mattress a dream to sleep on. 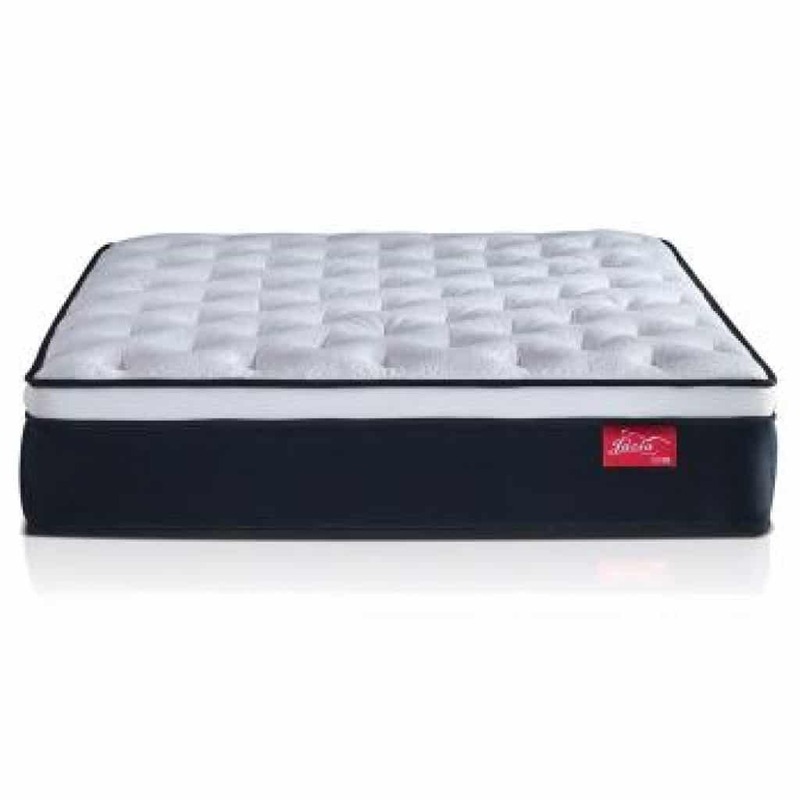 You also get a really nice top on the Sealy Response Performance 14-Inch Cushion Firm Euro Pillow Top Mattress, and there’s very good edge support in the form of firm foam, plus this mattress also features cooling gel to make sure that you don’t get overheated as you sleep. 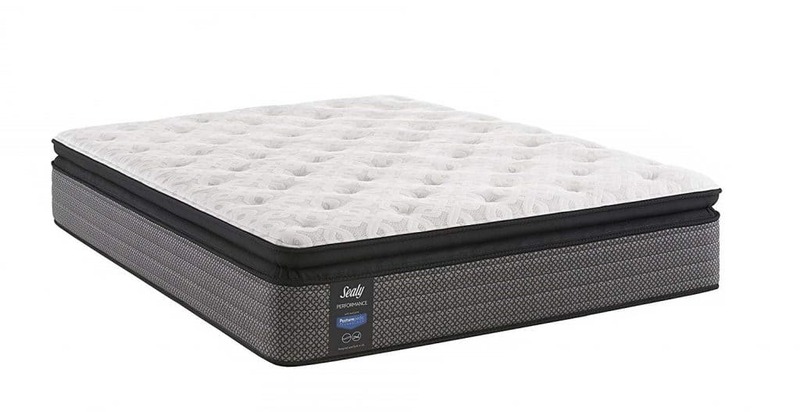 All in all, Sealy have put out yet another winning mattress with the Response, the 14-inches of springs, with great airflow and nicely wrapped zones for extra support where you need it is a great touch. Hard to beat this one. 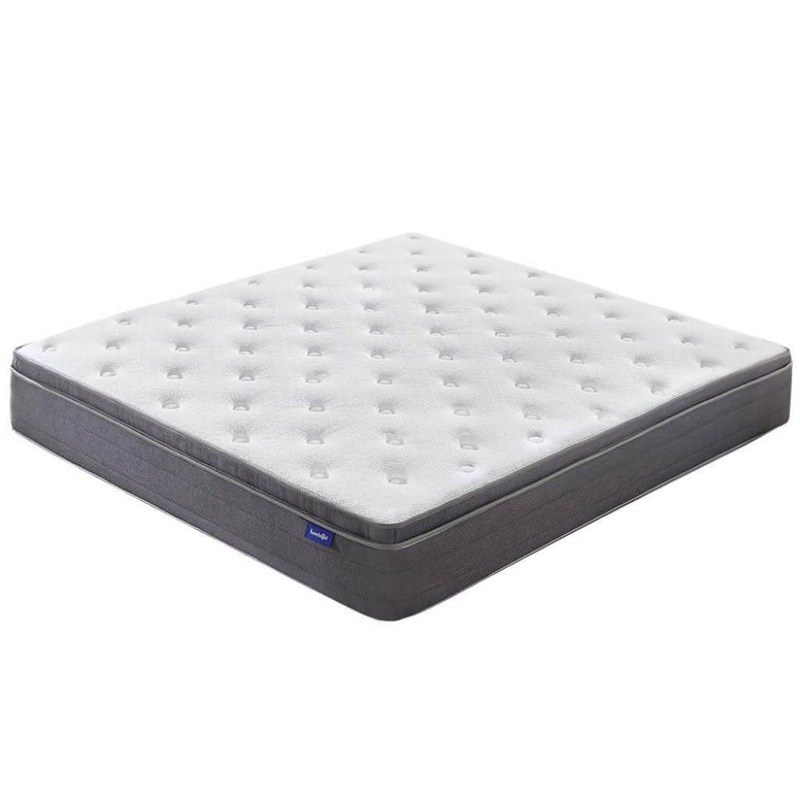 This is an excellent example of a boxed mattress and you get a 10-inch spring section with a great pillow top that provides a medium level of support and will suit a heck of a lot of sleepers. The Sweetnight 10 Inch Mattress in a Box is surprisingly adept for a mattress that comes supplied in a box and it’ll solve a lot of sleep problems for many people. The springs in this ten inch thick mattress are all individually wrapped and so you’ll find that you’ll get excellent comfort, great support, and you won’t suffer any disturbances whatsoever if your sleeping partner shifts, tosses and turns or gets in and out of bed in the middle of the night. 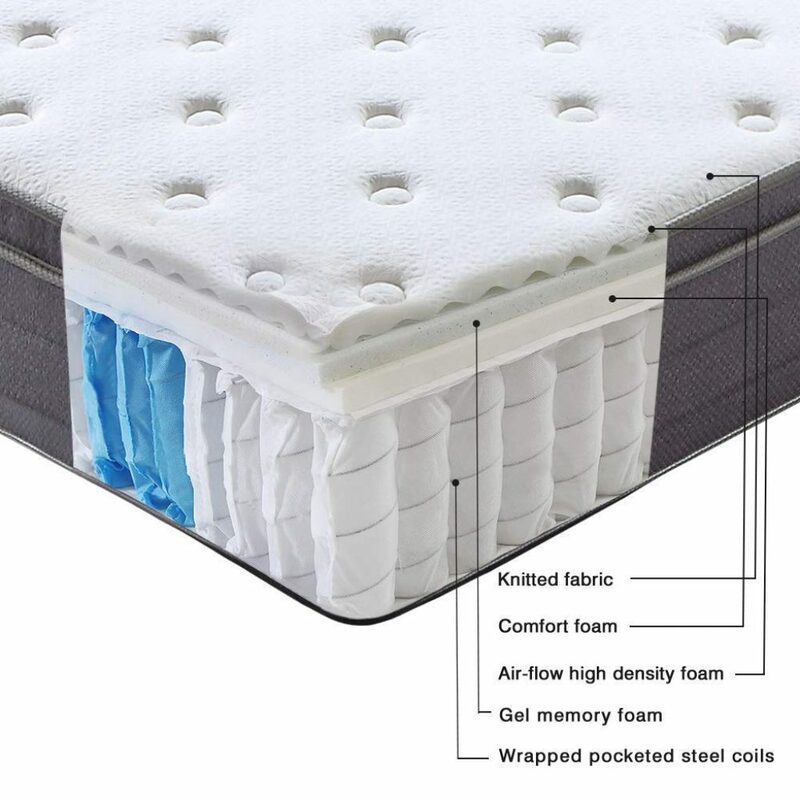 This whole package comes with an excellent ten year warranty and all of the materials in this pillow top mattress are CertiPUR certified, so you know you’re getting excellent flame retardation, safe construction methods and fabrics, and that nothing here is going to be a health concern, no matter how many years you decide to keep this great mattress for. The pillow top here is a blend of fabrics and materials that are all geared toward helping you have a very good night of sleep and you get cooling gel memory foam to help you out in that regard. They’ve kind of thought of pretty much everything here and there isn’t anything not to like with the Sweetnight 10 Inch Mattress in a Box. It’s a great option and it’s easy to ship too. The Classic Brands Mercer Pillow Top Mattress is another pillow top mattress that aligns with regulations in order to achieve a full CertiPUR rating. This is a great mattress that won’t cause you any health or safety related problems and comes in a range of sizes and firmness. 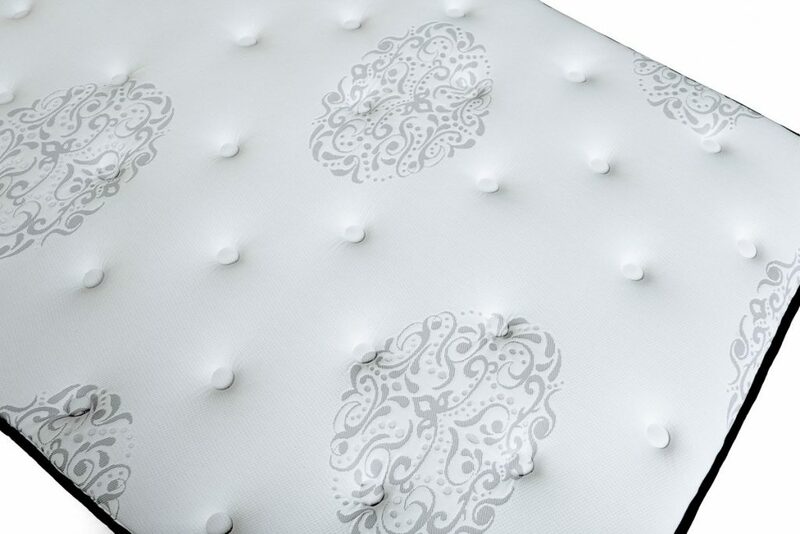 This mattress is another innerspring/memory foam effort and there’s great attention been paid to detail. 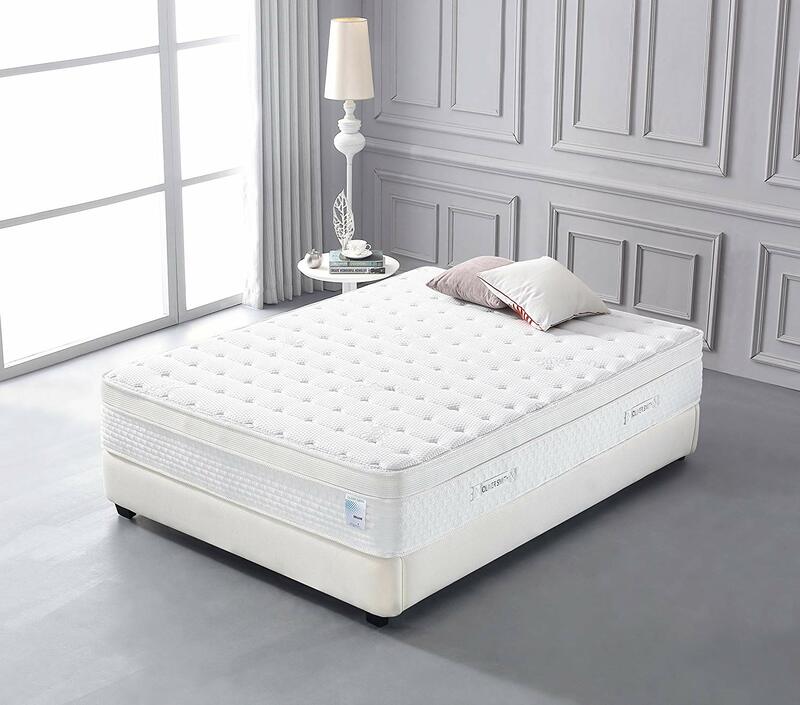 The manufacturer is confident enough in this product to offer a ten-year warranty – always a very good sign- and you can see why, because they seem to have ticked all of the boxes with this excellent pillow top mattress and all measures have been taken here to make sure that you get a great night of slumber. The Classic Brands Mercer Pillow Top Mattress is also another mattress that ships rolled, and in a box, so getting it to your place isn’t going to be too much of a problem. You get independently wrapped springs here too, which is great for couples that tend to exhibit slightly different sleeping patterns – as most do, and you get cooling gel infused memory foam to help further ensure that you’re going to be wide awake and fresh every morning. As well as being hypo-allergenic, this mattress features excellent corded edge support and it’s going to be a great option for many folks. This is the Le Confort 11 Inch Memory Foam Pillow Top Mattress and it’s a whole lot of mattress for your buck, to be honest. It comes in a great range of sizes and levels of firmness, and this pillow top mattress is also a memory foam and innerspring combo that’s almost certain to be getting you dreaming more and counting sheep less. You can sit this on any type of frame or base – including use on adjustable beds, so it’s also a very versatile option for those of you out there who are looking to replace an existing mattress that’s gone bad. Everything has been done here to ensure convenience and you get the guarantee of a night without excess heat because there’s great ventilation in the sprung section and you also get a great layer of memory foam that has cooling gel built right into it, in order to provide good heat dissipation and a problem free snooze. There’s only a five-year warranty on this mattress and that is a slight concern because five years isn’t a lifetime and there’ll be no recourse with the manufacturer if this item develops a problem once you’ve gone over the sixty months. 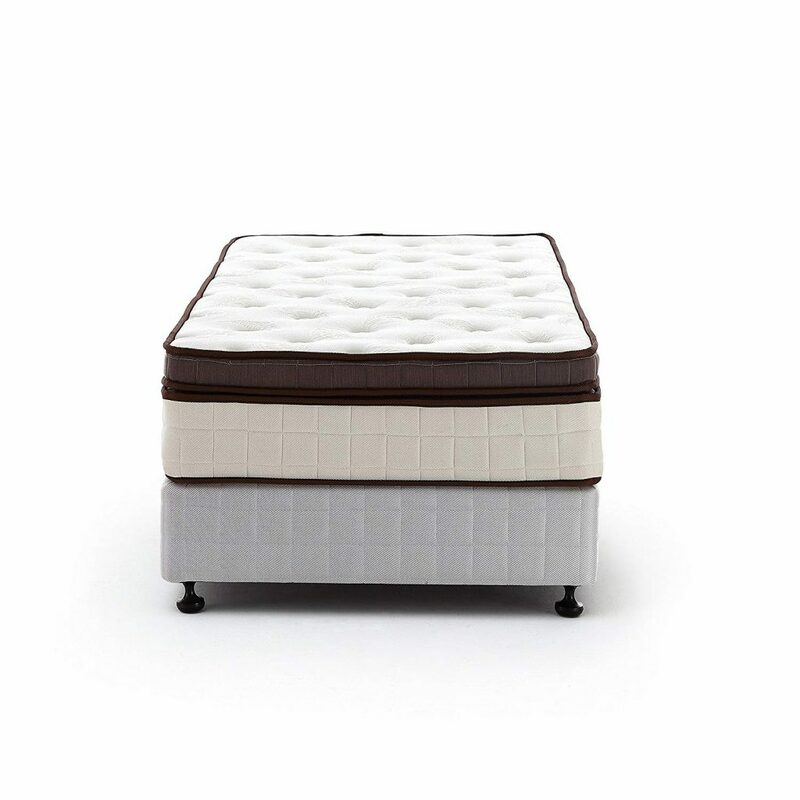 Overall, whilst not being the Rolls Royce of mattresses, this is probably going to get consideration from some people for the versatility it offers and it absolutely does do the basics right so it’s going to get on a lot of shortlists, if you can look past the shorter warranty. What we have here is another good mattress that does a lot of stuff right. 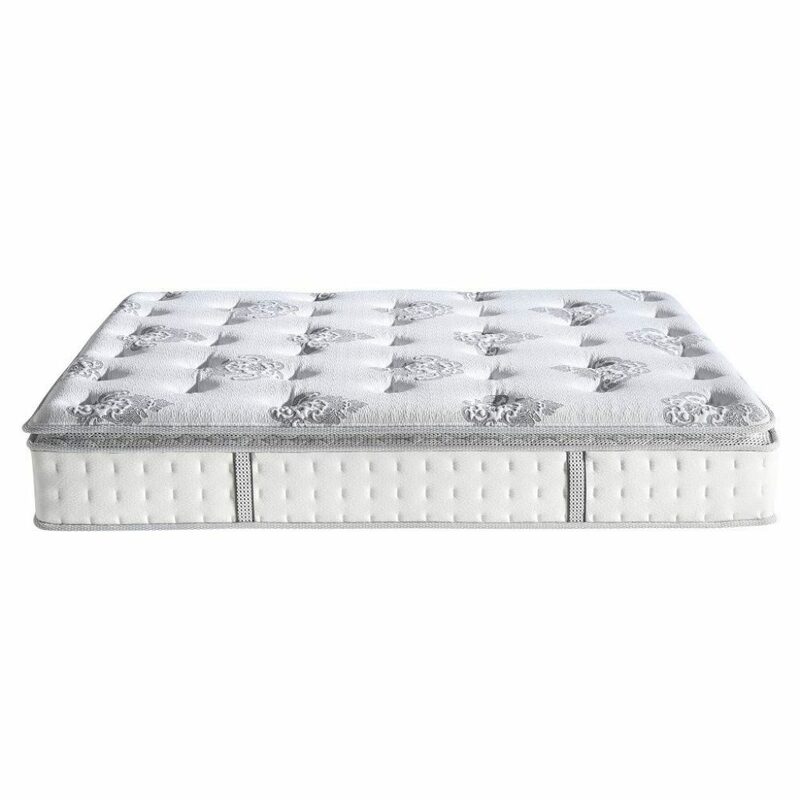 It’s the LIFE Home Oliver Smith Plush Euro Pillow Top Mattress and it’s going to catch the attention of a lot of readers because it has some unique and attractive features and it’s not your run of the mill mattress by any means. One of the first things that catches the eye with the LIFE Home Oliver Smith Plush Euro Pillow Top Mattress is the fact that the manufacturer has opted to go for 100% organic cotton for the cover, which is a nice touch and will appeal to a lot of buyers. 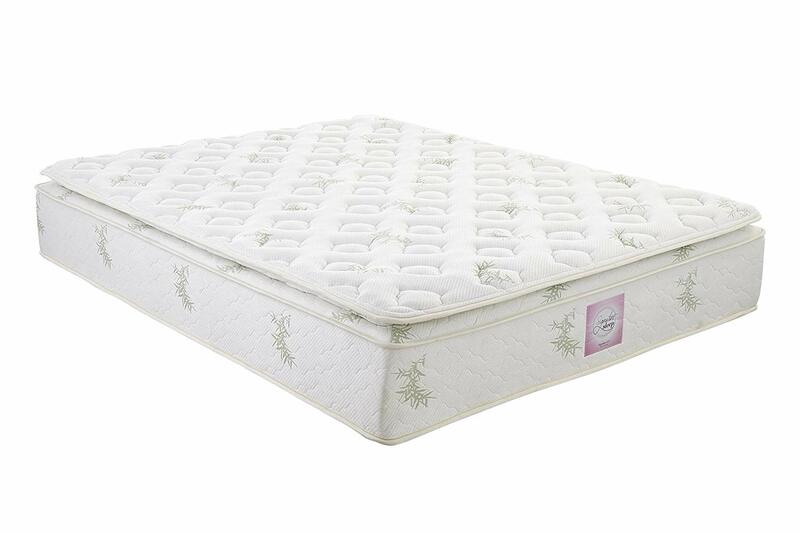 The spring section of this mattress is made with a nice ventilated fabric that will go a very long way to making this pillow top mattress stay fresh for a longer time. The mattress comes in a great range of firmness options and in some great sizes that include an RV sized example, which will appeal to a lot of sleepers that do a lot of weekend travelling and camping out. Luxury on the road is what that is. You get a great range of features here, although it’s unclear what level of edge support you’ll receive and that might well be a concern for some people out there. You do get a pillow top mattress here though, that’s very geared toward maintaining a cool, comfortable temperature at all times. 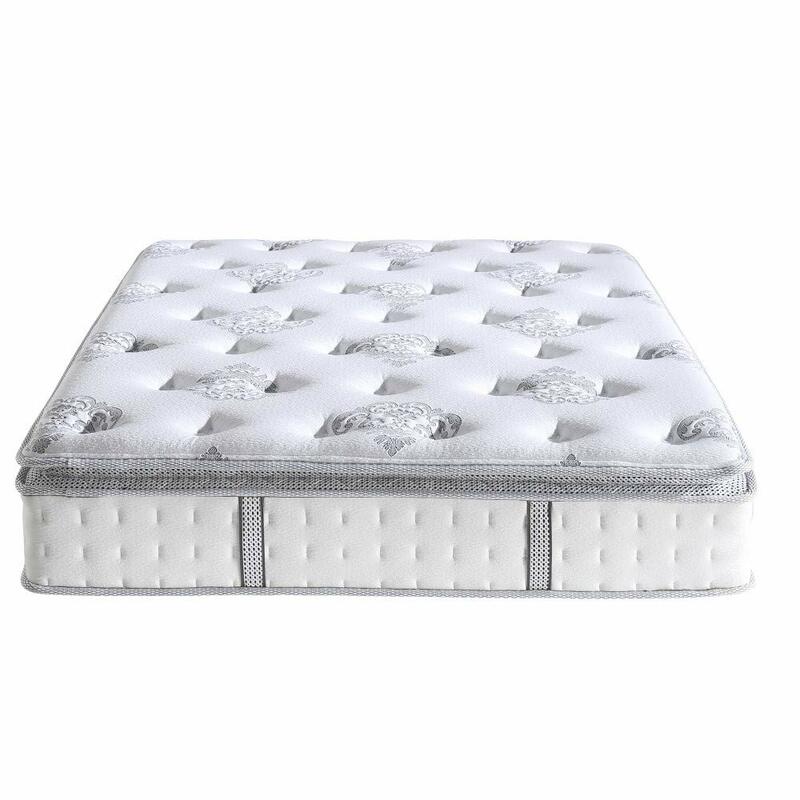 There’s high grade cooling gel memory foam on top and the bottom section is ventilated really well, so with the LIFE Home Oliver Smith Plush Euro Pillow Top Mattress you really shouldn’t have any concerns at all with regard to overheating or getting uncomfortably warm as you sleep. This setup makes for a great option in warmer climates, especially if there’s high humidity where you live for all or for some of the year. 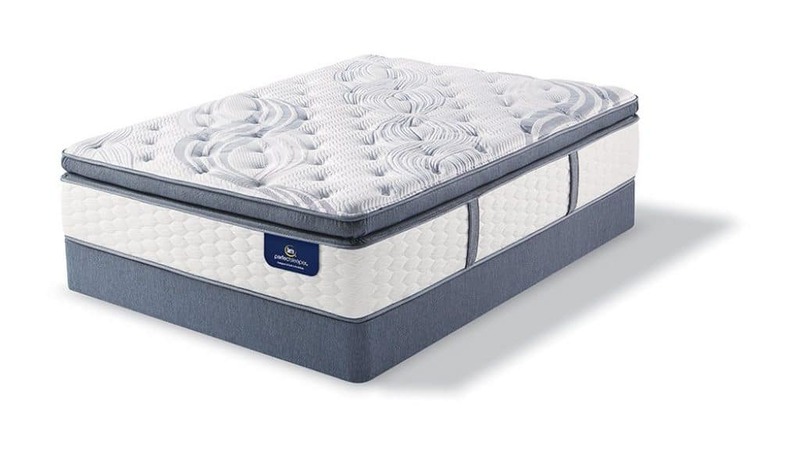 Next on our list of nine pillow top mattresses is the Signature Sleep Mattress 13 Inch Hybrid Coil Mattress, which is a mattress that will definitely do a job for you and get you sleeping better than you did on that old worn out mattress. 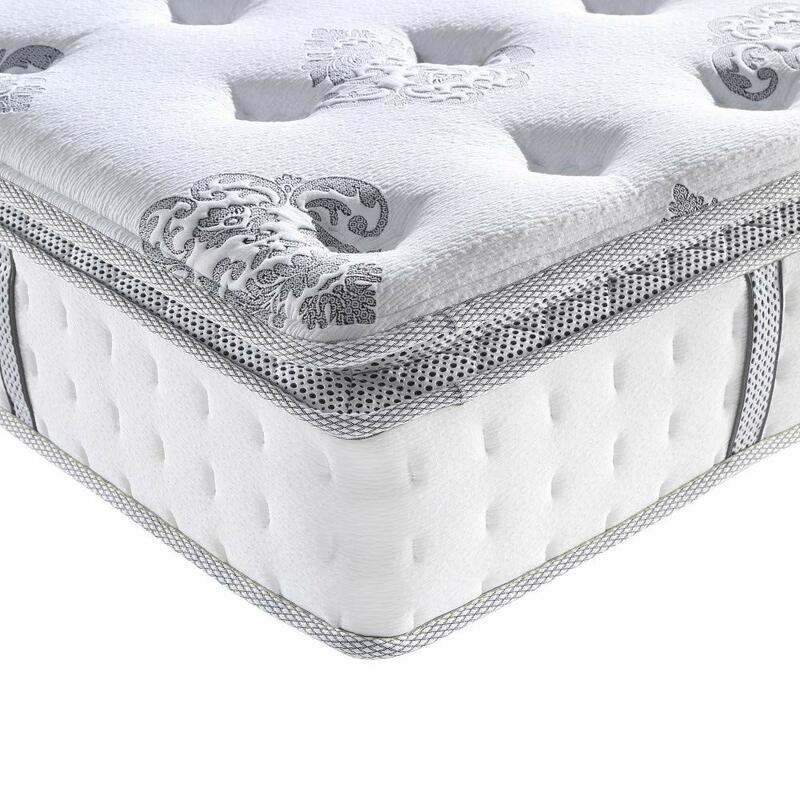 The great news here is that the Signature Sleep Mattress 13 Inch Hybrid Coil Mattress is another mattress that ships cheaply and easily in a box – to anywhere. This does mean that you’ll need to give it a couple of days to get sized right once it arrives and is unpacked, so don’t throw out your old mattress as soon as it arrives, or you’ll truly be stuck for somewhere to lay down your head for a couple of nights! 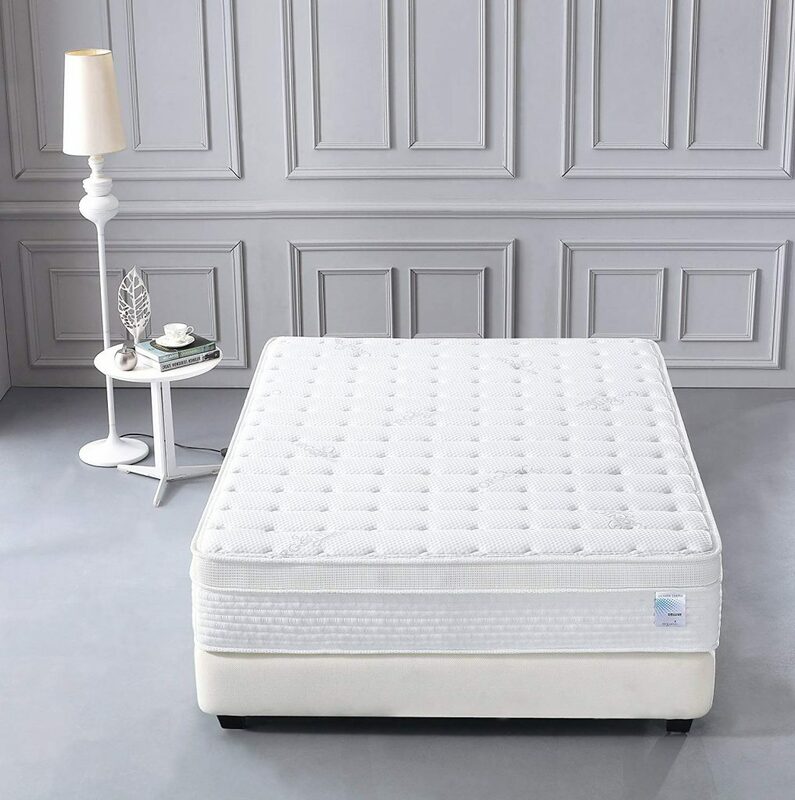 This mattress is also an independently sprung mattress, so you will get good support if you’re a person with aches and pains, and it’ll also serve well to reduce disturbances connected with partners and differing sleeping patterns or schedules. Great for the busy, modern world and well worth a mention. 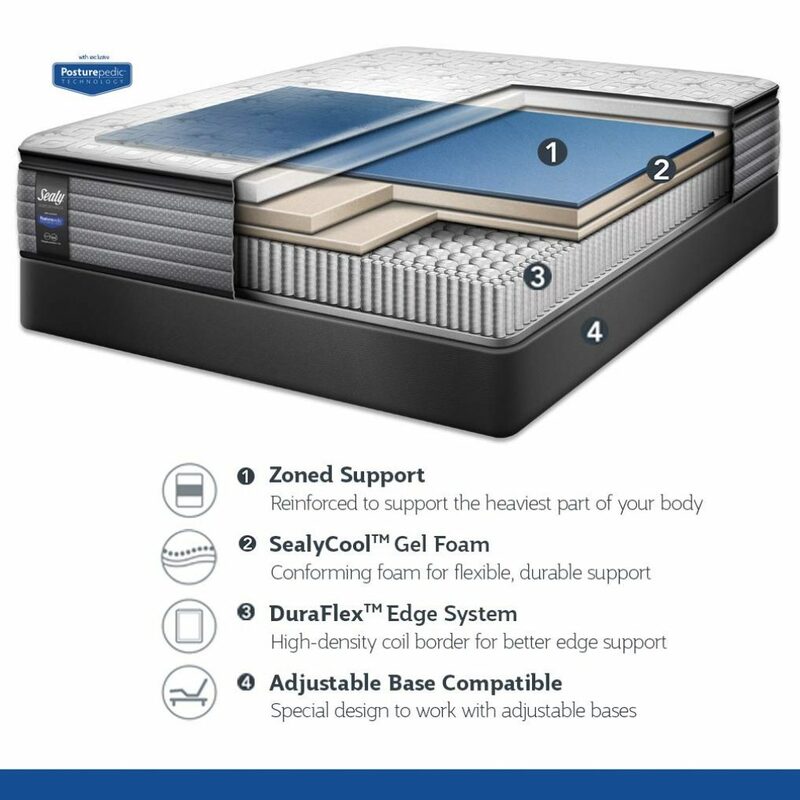 The Signature Sleep Mattress 13 Inch Hybrid Coil Mattress is also another CertiPUR approved mattress, so you’ll know you’re getting only healthy and safe materials when you opt for this product – and that’s a great thing to know from the get-go. All in all, this is a very practical mattress and for the cost involved you get a certain amount of luxury. 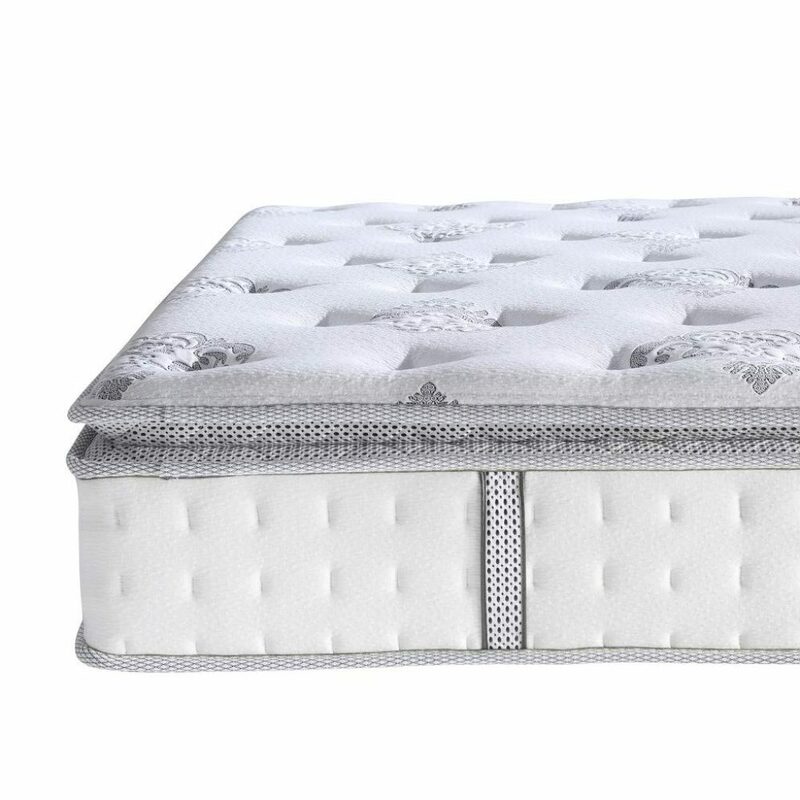 There will be a market for the Signature Sleep Mattress 13 Inch Hybrid Coil Mattress because it does the simple things very well. This next example on our list is the Jacia House 12 Inch Memory Foam Pillow-Top Hybrid Mattress and this is another mattress that doesn’t do absolutely everything but does try to get right the things that it does do. The most notable feature connected with this pillow top mattress is the warranty. You’re going to be delighted with a full fifteen years of guarantee when you purchase the Jacia House 12 Inch Memory Foam Pillow-Top Hybrid Mattress and that really is extremely hard to beat in a very competitive line of business. The warranty on this pillow top mattress says a heck of a lot about the confidence that this manufacturer has in their product and let’s face it, a great start to getting a good night of sleep is to have that much peace of mind! You get all of the features you want here. Independent springs will help you to get a great night of undisturbed sleep, free from any problems sleeping with your partner. 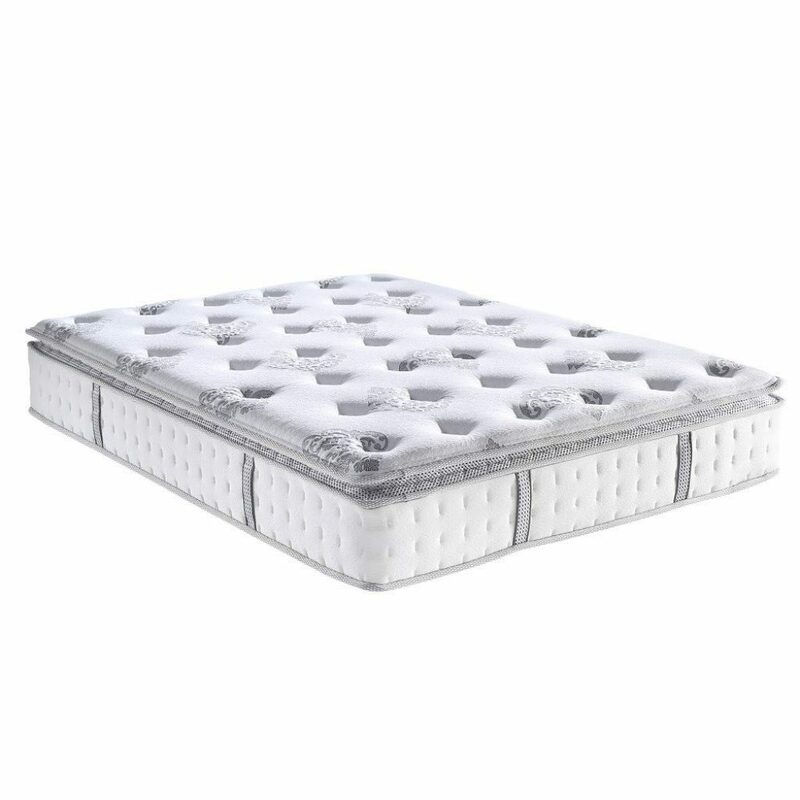 There’s excellent ventilation built in on the spring mattress section and on the pillow top of the Jacia House 12 Inch Memory Foam Pillow-Top Hybrid Mattress you get cooling gel latex memory foam to keep things at a great temperature to promote sleep and comfort. Overall, this is a really nice option in terms of pillow top mattresses, and you could go a long way before you’ll beat the 15-year warranty. 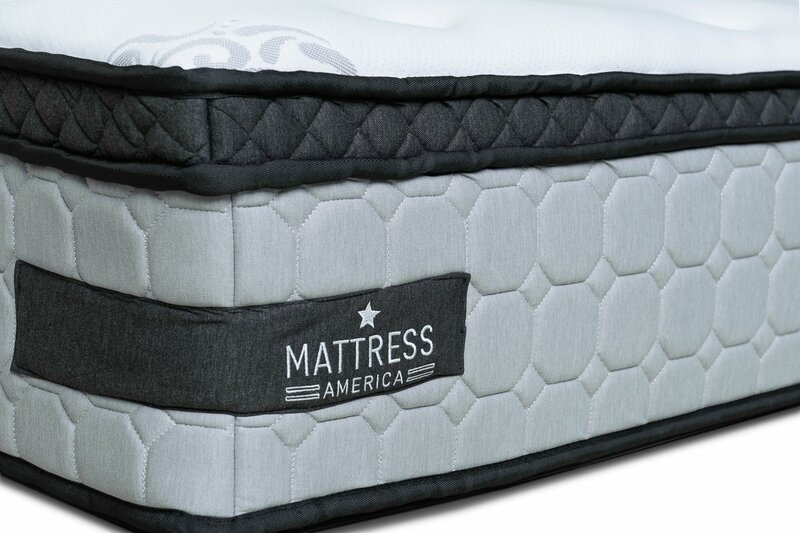 At the bottom of our list of nine pillow top mattresses is the Mattress America Frost 13 Inch Hybrid Pocket Coil Pillow Top Mattress. This mattress may be right down low on this list, but it really isn’t out because there’s some very positive features connected with this pillow top mattress, so don’t rule it out just yet. First of all, and before we go any further, the number one thing to say here is that this mattress beats even our previous entry on the list for warranty. 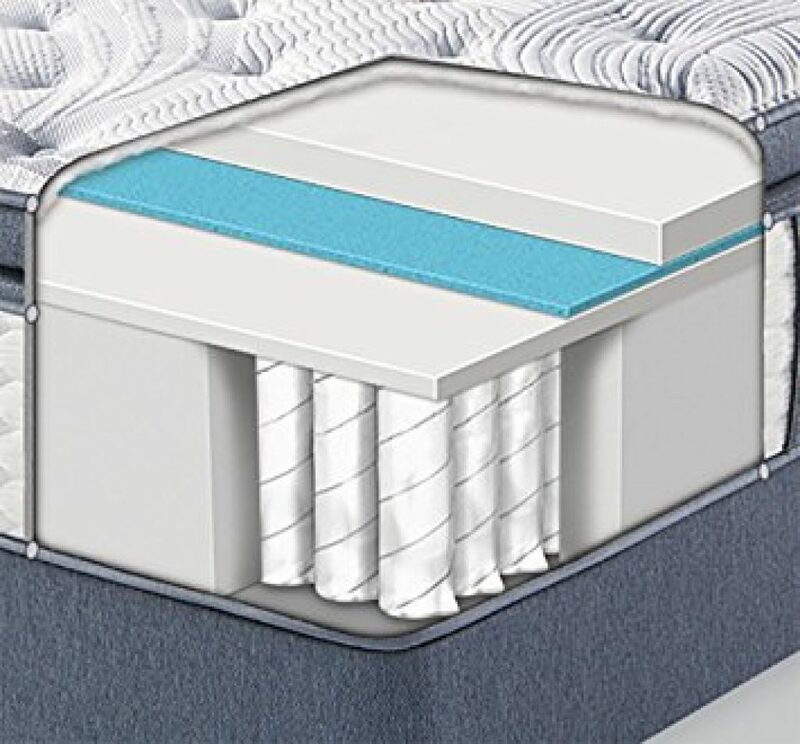 That’s right, just when you thought you would never see a better warranty than the previous mattress you looked at, the Mattress America Frost 13 Inch Hybrid Pocket Coil Pillow Top Mattress comes up with an absolutely ridiculous 25-year warranty term. That’s unbelievable! The company claims to have sold 1.7 million mattresses and to have been operating for forty years, so that’s positive. This mattress doesn’t have a long, long list of technical features and it doesn’t claim to do too much, so it’s necessary to apply caution. 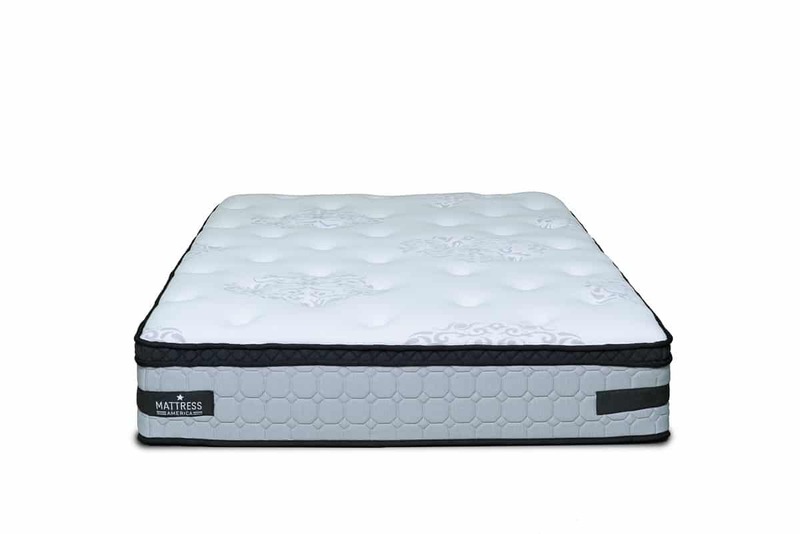 The Mattress America Frost 13 Inch Hybrid Pocket Coil Pillow Top Mattress is a great option if you’re on a tight budget, though, and it really does look the part. It’s going to be a pillow top mattress that is going to appeal to a lot of people. Looking for the best pillow top mattress is a challenge. There is a lot of choice out there, so we’re going to try to give you a little guidance in this buying guide. We’ll look at all the things you need to be considering when you select your own new pillow top mattress, and we’ll look at what’s going on with some of the important features of these products, and also why a pillow top mattress can be a better choice than a traditional mattress. Why choose a pillow top mattress? Pillow top mattresses are a great aid to comfort. They’re also a very good means to improve how you sleep if you have any chronic pain conditions, such as a bad back or hips. Pillow top mattresses tend to offer more in the way of support during sleep. They’re great for following the contour of your body while you sleep and giving relief to pressure points, which is something that a normal mattress just doesn’t do as well, if at all. Many pillow top mattresses are brilliant at making sure that your partner doesn’t disturb you as they move around during sleep, because pillow top mattresses tend to promote a more independent sleeping experience when two people sleep in the same bed. Depending on whether you’re looking for the best pillow top mattress under $1000, or you’re looking for the best plush pillow top mattress that money can buy, there’s several things to consider. Thicknesses, materials and price, are of course all things to consider and look for when you’re looking for a great pillow top mattress. And that’s not the limit of it either, there’s things like edge support and the various different sizes that these products are available in too. The best method of approaching buying a new pillow top mattress can be to have a very good idea of what your own personal expectations and requirements are – before you even start looking around at individual products. This can be an effective way to ensure that what you end up buying is the best pillow top mattress for you and all of your unique needs when it comes to sleeping comfortably and peacefully. Let’s look at some of those things right now. Pillow tops mattresses generally tend to be made as innerspring beds and sometimes they can even be airbeds. A pillow top mattress is usually a mattress with several inches of extra padding incorporated onto the top of the overall construction. The padding might be made up of regular foam but can also feature memory foam or different types of latex foams and materials – for example, the Jacia House 12 Inch Memory Foam Pillow-Top Hybrid Mattress combines latex, memory foam and pocket springs in its construction. Other pillow tops can be made from cotton and some are even made from wool. Some tops are fully integrated with the mattress, but some others can just lie on top of what’s beneath. Pillow tops come in a range of different thicknesses and this really is going to come down to your own personal preferences and what’s best for you. 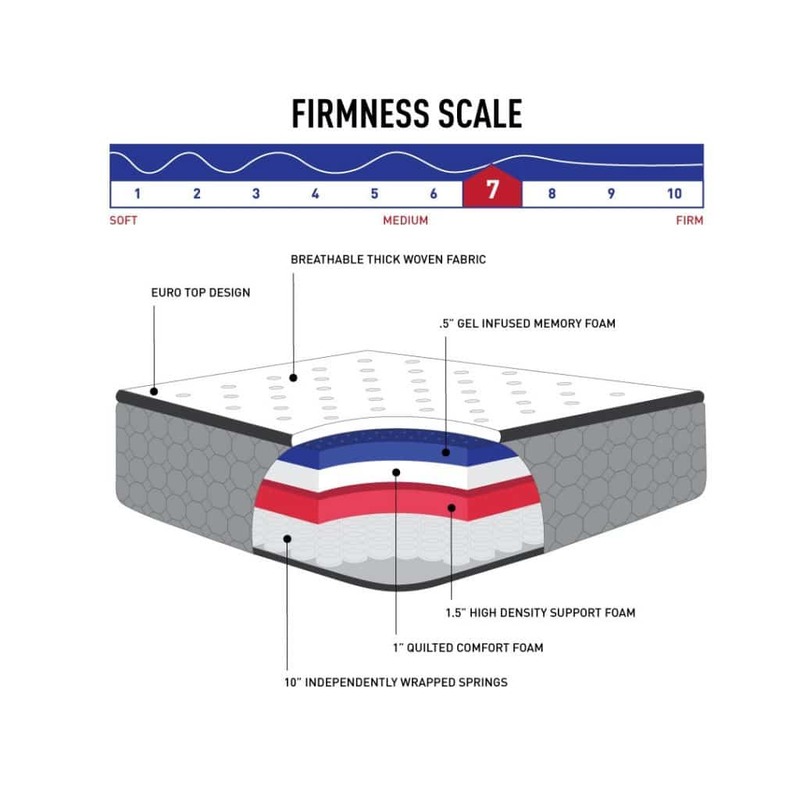 Remember that a soft pillow top that’s also very thick is going to provide far less support for you than a thinner pillow top that’s also very firm and without too much give in it. 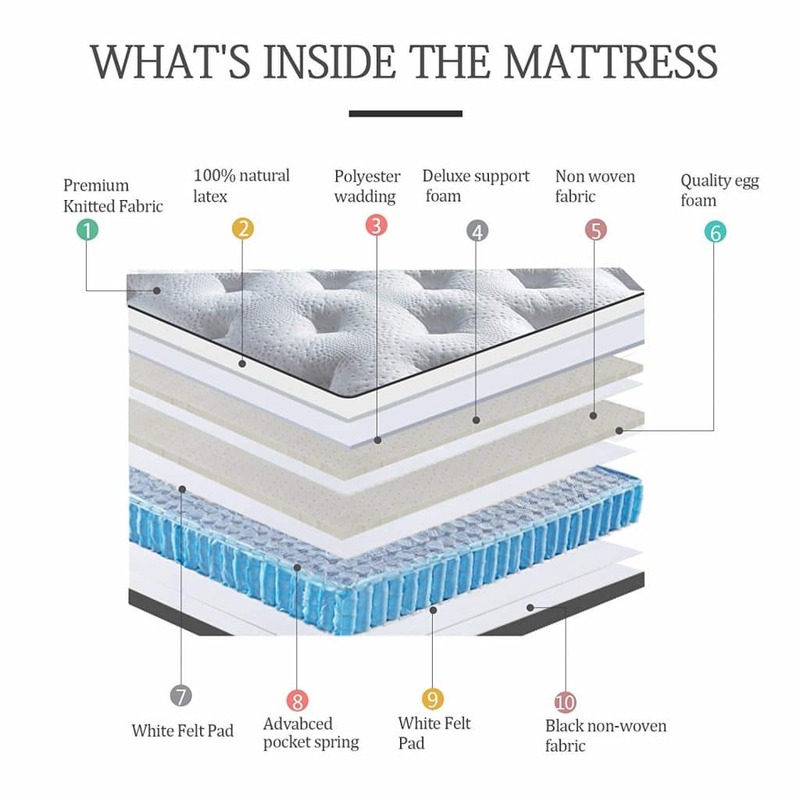 Between all options for hard, medium and soft, and across all thicknesses, pillow top mattresses offer an almost infinite selection of choices for sleepers and it’s exactly why this component on a mattress offers so much chance to tailor sleeping experiences to suit the myriad of differing needs that different sleepers have. This will differ with all the different individual mattress specifications that are available in what’s quite a wide market these days. Pillow top mattresses generally come in either a soft, a medium, or a firm version. There may be various ways that manufacturers decide to express this, but we’re generally talking about the “Goldilocks principle”, and you’re going to be looking for the bear with the mattress that is just right. The best soft pillow top mattress, such as the Signature Sleep Mattress, tends to suit stomach sleepers and so a soft mattress will tend to be the best pillow top mattress for side sleepers and stomach sleepers. Medium mattresses tend to be a great fit for combination back and side sleepers, so bear that in mind if you tend to shift about in those positions. Firm mattresses, usually suit back sleepers, and the Sealy Response Performance is a great option to consider. So, look for the best firm pillow top mattress if you usually sleep on your back. If you experience pain when you wake up, choosing a suitable pillow top mattress for back pain is super important. Go for one that has cushion-firm feel, as this will provide support and cushioning for your joints and any pressure points. Depending on manufacturers, mattresses come in sizes of twin, twin XL, full, full XL, Queen and King sizes. You may find that this differs between suppliers, so it’s a great idea to check out what each one offers and double check all sizes to make sure they fit in your bedroom and that they suit your sleeping habits and preferences. This is basically to stop you rolling off your new mattress while you’re asleep. Always a plus! You’ll find that a lot of pillow top mattresses with edge support achieve this with what’s called a border rod. This is a soft and pliable rod that doesn’t affect your comfort but provides reinforcement to stop the edges of the mattress being squishy and uncomfortable to sleep on, as well as stopping you from rolling off the side. Another method of edge support is foam reinforcement, and both work well and offer similar effects. 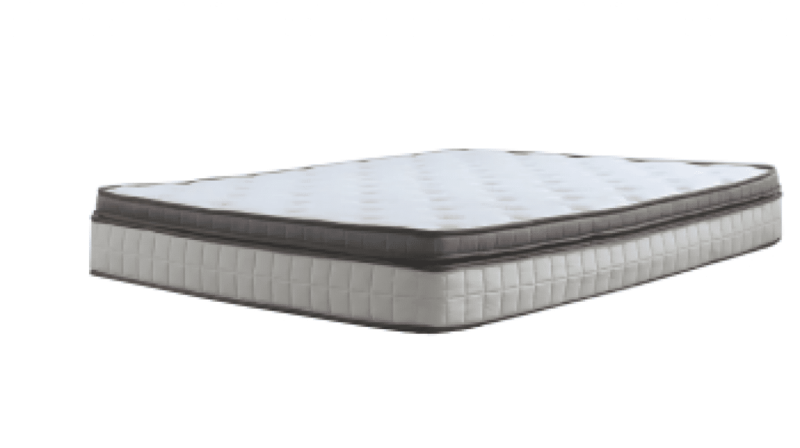 Our top pick, the Serta Perfect Sleeper, offers edge support. This is a regulatory system that’s administered by a non-profit organization and looks to ensure that foam products are safe and healthy. CertiPUR regulate the use of formaldehyde, mercury and other harmful materials in mattress and foam manufacture, in order to make sure that what you’re sleeping on isn’t poisonous. These mattresses will be flame retardant and made with ozone depleters, so they’re safe for the environment and won’t burst into flames either! As with most things that you’re going to buy during your lifetime, looking at warranties can often be a good indication of a few different things. When a manufacturer provides a good warranty, with a decent length of coverage, it provides a lot of peace of mind and it’s a great indication of what that manufacturer’s after sales service is going to be like, should you need it. In short, fly-by-night companies don’t often tend to offer a decent warranty, so it’s always a selling point worth looking at. A good warranty that’s comprehensive and lengthy, can also be a great indication as to the confidence the manufacturer has got in their product and its performance and longevity. This is always a good sign and is probably very indicative as to the levels of their standards in manufacture and product testing and quality control. Keep an eye on how confident the manufacturer of your potential new mattress is. It’s always one aspect of product selection to be aware of – be it a car or a mattress you’re looking to acquire. Keep in mind the manufacturer guidelines and which sort of base you’re going to be using your new pillow top mattress on. It’s worth noting that mattress performance will be affected slightly, if not significantly in some cases, by what’s underneath it. It’s a great idea to talk and ask questions before you commit, in order to know what your existing base is going to do to your new mattress. If you’re looking to buy a complete new set, including a new base, then it’s probably going to be a lot more likely that the combo will be a great match – but ask more questions than you think you need to. You’re going to be spending many hours asleep on this new mattress after all. Also bear in mind that you may need to budget for new sheets if you change from a standard mattress to a pillow top one, because your existing sheets may not fit what could be an increased depth. What’s the best way to clean a pillow top mattress? Do pillow top mattresses sleep hot? There’s evidence to suggest that a pillow top mattress can sleep hot in more cases than a standard mattress, so it’s always a great idea to look at mattresses with a cooling gel or a similar method of cooling incorporated into the design. Where there is, there’s no real need to worry too much about sleeping hot. How long do I have to wait for my mattress to expand? If your mattress was shipped or supplied in a box, then you may have to wait between 24 hours and 72 hours for it to fully expand to its normal size. Manufacturer guidelines will vary from mattress type to mattress type, so make sure to ask or read up on this before you throw out that old mattress, or you may be sleeping on the floor for a couple or a few nights. Our best rated pillow top mattress was the Serta Perfect Sleeper Pillow Top Innerspring Mattress, and that was basically because it offered more than all of the other mattresses on this list – and indeed on the market. We tried to rate our mattresses here on a wide variety of features and specifications in order to find the best available product for you, and this one came out the clear winner. It’s a great mattress. In second place on our list of pillow top mattresses was the Sealy Response Performance 14-Inch Cushion Firm Euro Pillow Top Mattress, and we really recommend this one because it also had some great features, amazing build quality and a tendency to last a long time and give many, many great nights of sleep to anyone that chooses it. It was our top rated and best Sealy pillow top mattress too, which is no mean feat. The third mattress on our list was the Sweetnight 10 Inch Mattress in a Box, and although this mattress didn’t make our top two, it’s a great option that will suit lots of people. We looked at some high quality mattresses here, and to make the top three is no small achievement. Whichever mattress you decide on, there’s no doubting that a pillow top gives an extra dimension to comfortable sleeping, so don’t delay, upgrade today!